I had the 4 wheel model with smaller tires but it was not smooth at all and very hard to go over cracks or bumps. 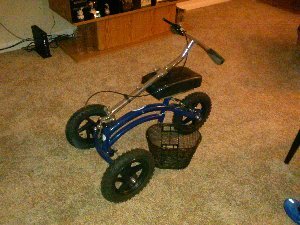 I now have the 3 wheel scooter with the wide tires and it works wonderful. I only had to use it a little over 3 months so it is in excellent shape!